We wanted to tell you all about a great charity that we found out about recently. Tom and Susan were looking for a place to donate mattress pillow-tops in fine condition without having much success. After a lot of research online and a couple of phone calls, Susan found A Wider Circle, and we were so impressed with this organization! 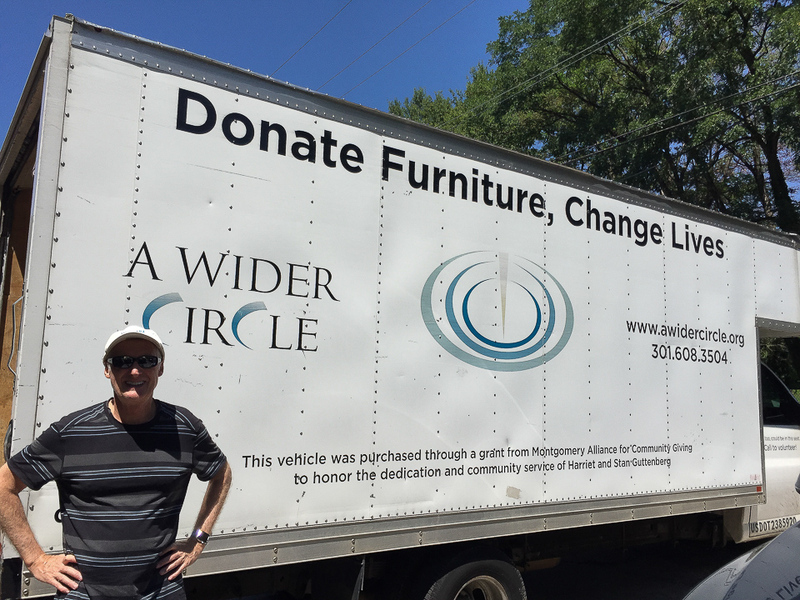 All of A Wider Circle’s services are provided absolutely free to those in need. The “Neighbor-to-Neighbor” program provides the essentials to families transitioning out of homelessness or escaping domestic violence. They will provide beds, dressers, tables, chairs, dishes, pots & pans and many other small and large household items. Yes, they even take mattress pads and pillow-top mattresses! They are able to accept many of these items because they have professional sanitizing equipment on site to clean them before distributing out to clients. They not only provide basic need items to those without the essentials, but they help with “turning empty spaces into stable and dignified homes”. When we drove over to Silver Spring, Maryland (where the warehouse is located), the volunteers we met were so upbeat and really friendly. We had professional clothes to give as well and they were so happy to get them for their Professional Development Center where they do job coaching and employer partnerships. A Wider Circle also collects “the essentials”, which include healthy non-perishable food, personal care products and non-toxic cleaning supplies. We encourage you all to take a look at this fine organization’s website. They have all sorts of information on their programs, and detail the ways to help those in need throughout the DC area. If you have items to donate, but you are unable to get to Silver Spring, you can schedule a pick-up online or give their office a call.